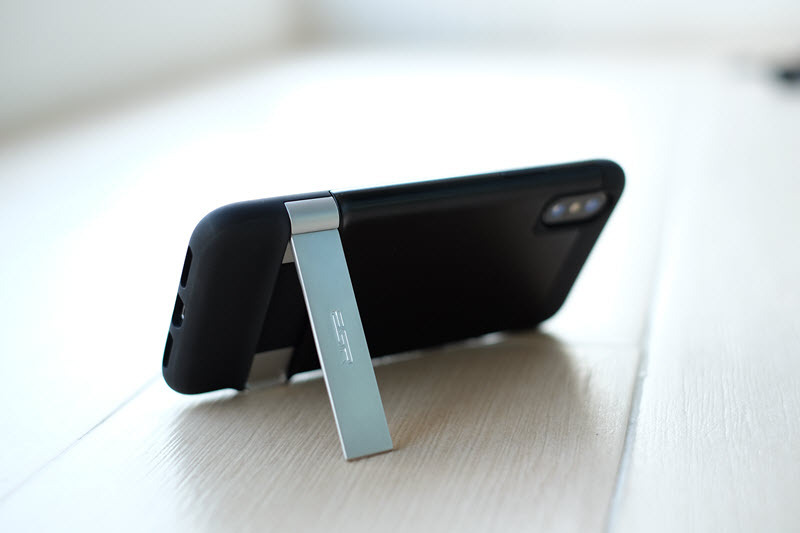 The ESR iPhone X Metal Kickstand is a combination between rugged design for extra protection and kickstand for functionality. 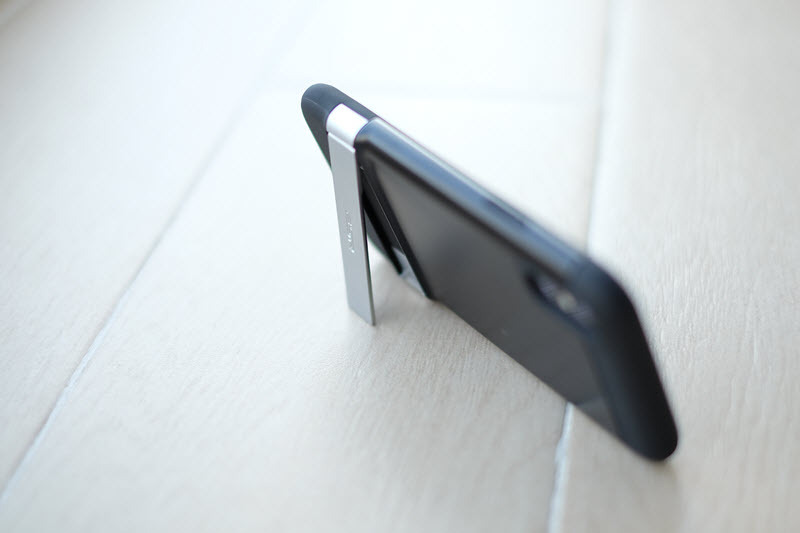 At the moment the current price for the ESR iPhone X Metal Kickstand cost USD 18.99 at Amazon. It comes with a transparent cover and a silver box. 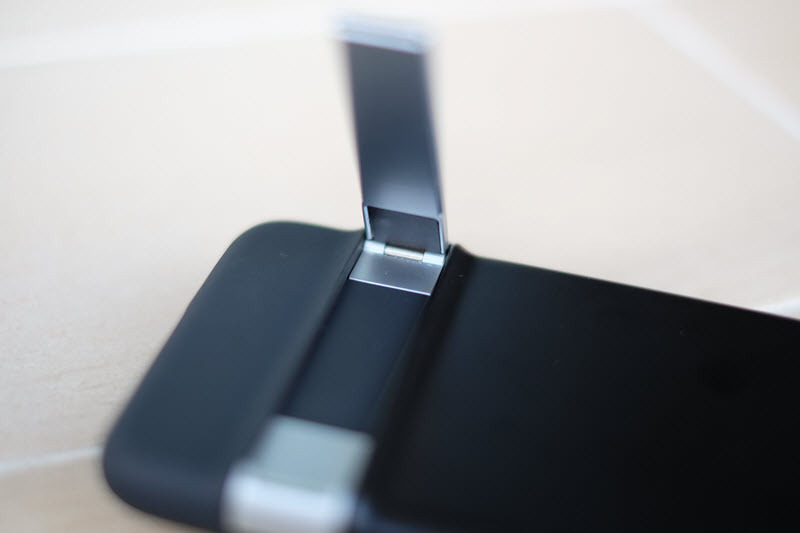 The ESR iPhone X Metal Kickstand that I'm reviewing is the black model, three colors available for this model: Black, Metal and Pink. 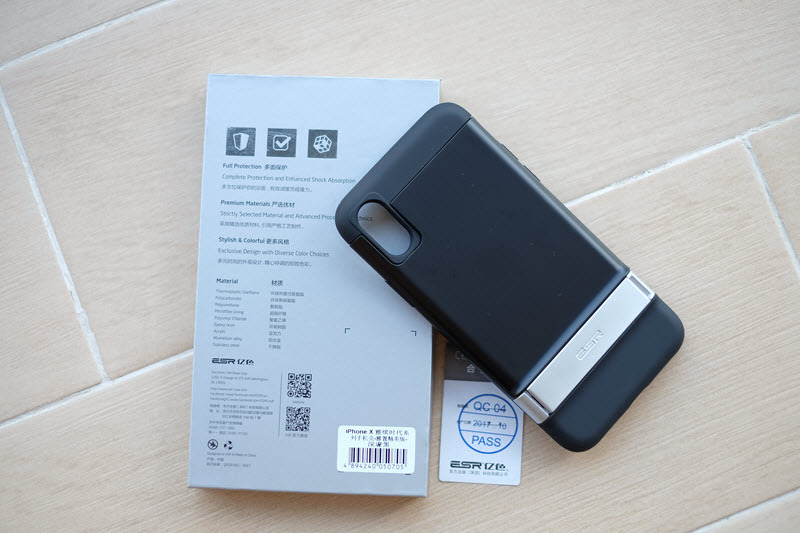 One thing that I like about the ESR casing, it comes with a little piece of paper mentioning that the iPhone case has passed the QC which kind of give you an assurance. It's pretty simple design with an eye catching metal stand, which blend pretty well in the black version. I'm not fan of the pink version, but the metal version do look great as well from the picture in their website. The inner layer has very interesting pattern which is much better than the normal plain looking (even though you don't see this anymore after you install the case). 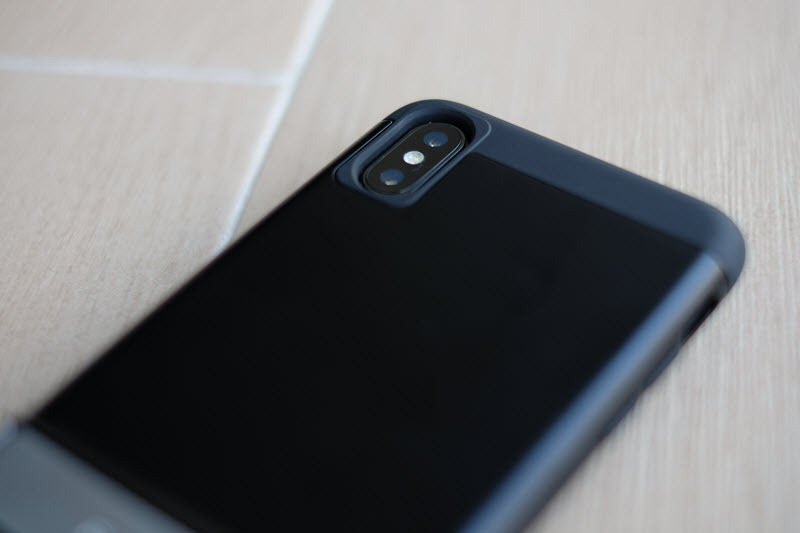 The casing is made from dual layer structure, a hard polycarbonate which feels like a metal and a flexible bumper that enclose the whole iPhone, not forgetting a metal case stand. Intended to have an extra protection and a metal kickstand it come with a cost, it's pretty heavy at about 70 gram. the polycarbonate part it's matte (for black version) which to some degree is preventing the finger print mark. Oil mark can be seen if you've an oily hand the good thing about polycarbonate, it's easy to clean it up, just wipe it once and all the mark is gone. 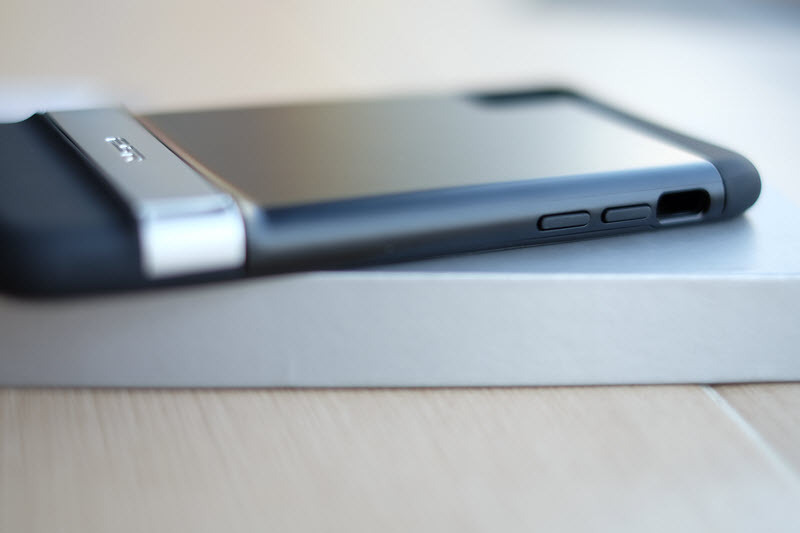 Not so for the matte metal stand, it's finger print and scratch magnet. this is something that can't be prevented, metal = scratches. The metal stand itself it's pretty sturdy and the mechanism to open and close is pretty well made. the casing feels a little bit slippery but because of the weight but it's staying in my hand pretty well. with only weight drawback and scratches on the metal stand, I'm rating it 4/5. 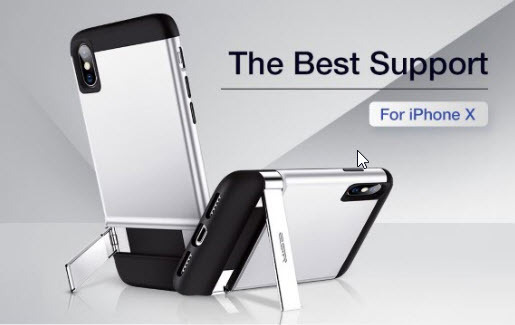 It' can support the iPhone X without any problem at the different angle, no even once it's dropped on me. Opening and closing the metal stand is pretty easy. 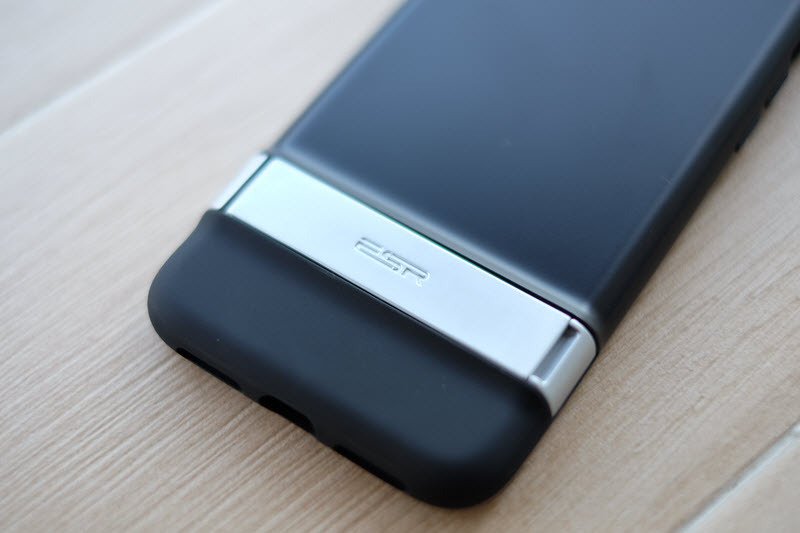 the case also mentioned that it supports wireless charging. 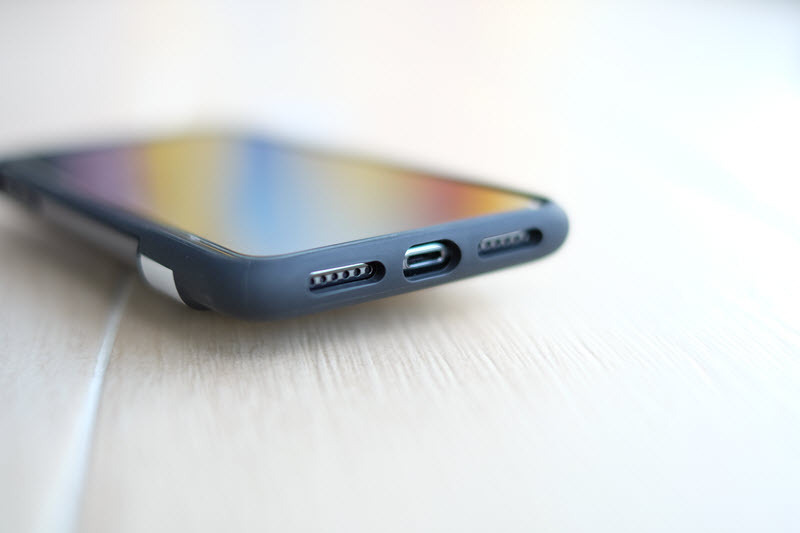 Another great functionality for this case, it's able to support horizontal and vertical orientation. not only in paper but it does work for vertical support. I'm pretty curios whether this case able to support the bigger brother iPhone 8 plus in a vertical position. 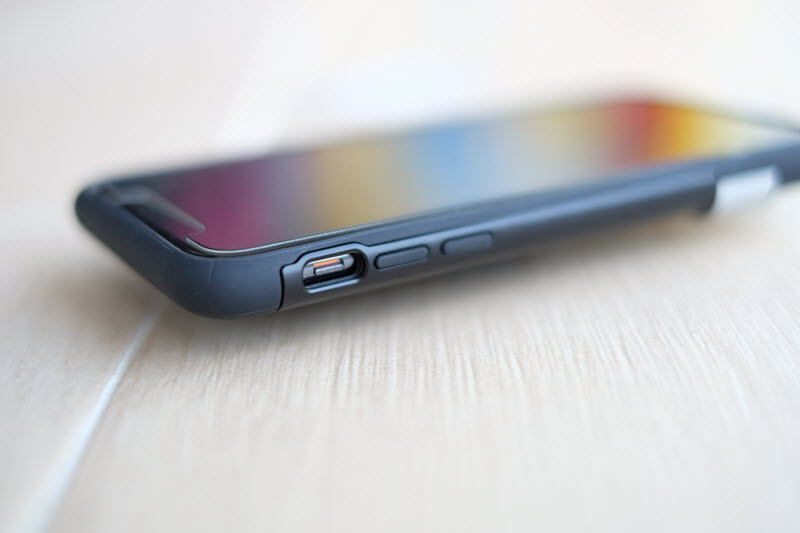 the buttons perform pretty well, it has a good feedback and it's easy to identify when you are not looking at your phone, the only little complain that I've is that you need to push is a little bit harder compared to other casing. the access port for lighting cable is okay, I don't have difficulties with the original Apple lighting cable / verbatim lighting cable. 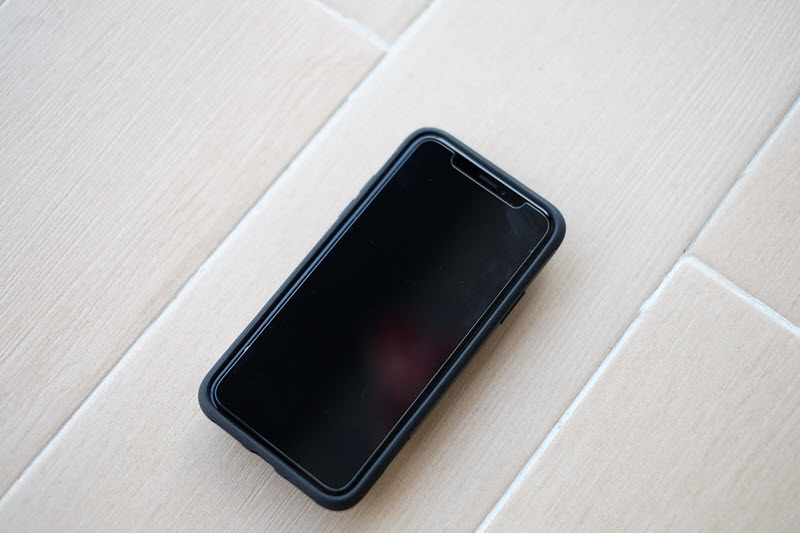 Reinforced drop protection, with at thicker bumper it's giving a decent protection for your iPhone X. I'm not worried about the back drop because of the metal stand which will protect the back glass of the iPhone X. If you drop it face on, it could crack your screen protector, my 0.33 mm screen protector almost at the same level with the bumper. the camera is well protected and as I mentioned before because of the metal stand, I don't think it will hit the camera first when it's dropped. 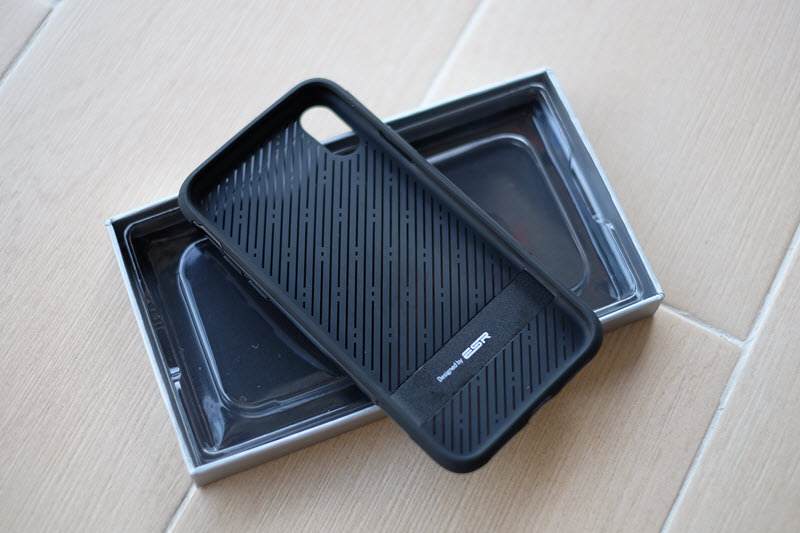 Decent protection overall, the bumper will be able to absorb the shock as well when it's dropped. too bad it doesn't have the air pocket on the corners. For a decent protection I'm rating it 4/5. 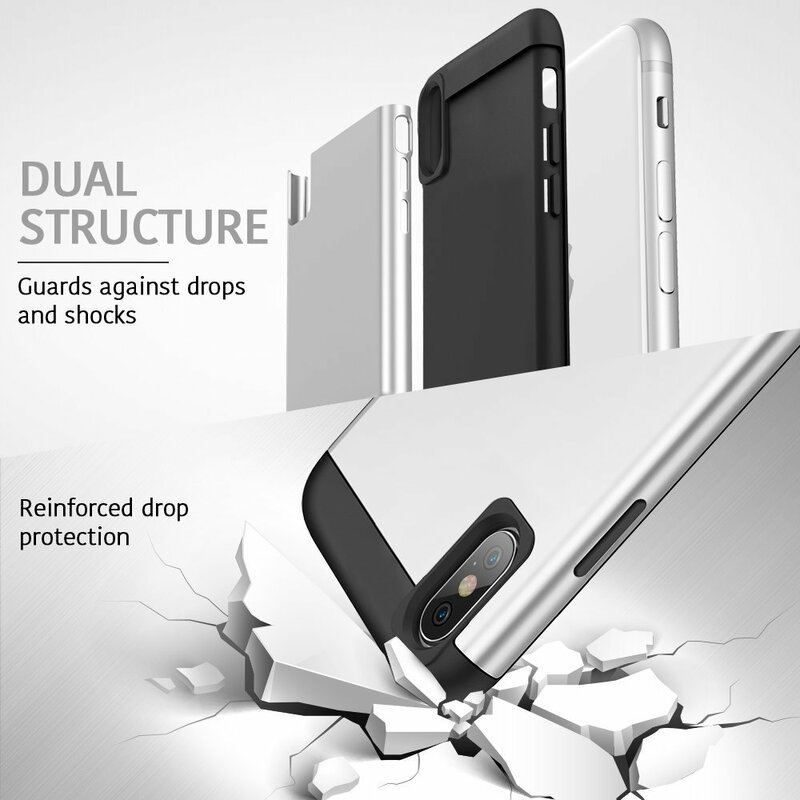 Great functionality with a good quality material and decent protection, the functionality of this casing is really standing out with the vertical and horizontal support at multiple angle. 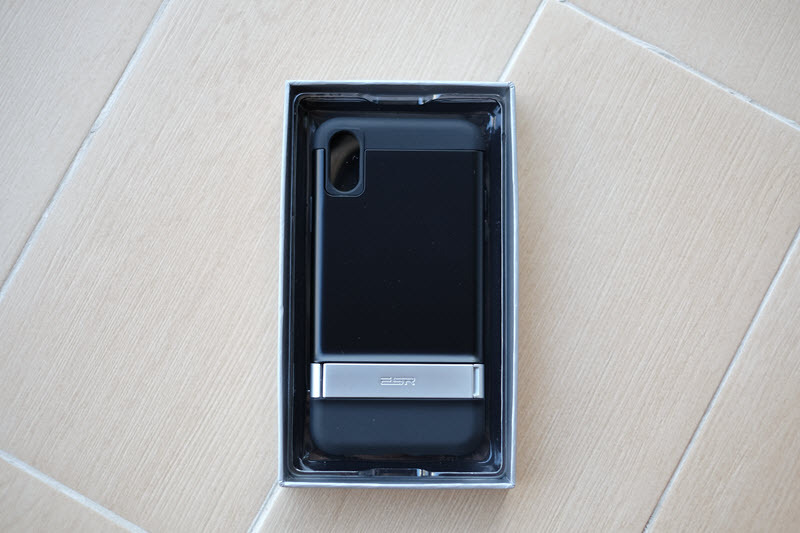 If you are looking for a great functionality casing with a stand this should be perfect if you don't mind about the weight (70 gram) and not concern about the scratches on the metal stand. 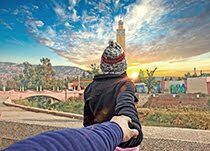 you can buy them from Amazon at USD 18.99 for pink version and USD 16.99 for black / silver version and check out their website for other product.